Thanksgiving marks off the year for every American the beginning of a “holiday season” of memory, anticipation, and joy – but above all, it begins with thanks. In my time as a member of the board of trustees of the Germanna Foundation since 1997, I have come to rest on the idea that the heartbeat of the Germanna Foundation rhythmically sounds out two complementary qualities: gratitude and stewardship. As Thomas Jefferson wrote, “the God who gave us life gave us liberty.” Those of us who are Germanna descendants can be so thankful to God for allowing us to become who He intended us to be by having been born as Americans in such a time as this. We are grateful that He brought our families out of Europe and settled them at Germanna, on the very edge of civilization. We were not abandoned on the frontier, but led to explore our new country generation after generation – leading to fellow descendant Buzz Aldrin humbly taking communion on the moon, to show gratitude to God on the furthest frontier. Members of the Germanna Foundation cultivate those memories and safeguard them in the hearts of the rising generation by means of our Visitor Center, publishing program, archaeology, and preservation of nearly 250 acres of where our story in America began. Our stewardship begins with our heritage, and extends to the gifts of money, friendships and encouraging words that find their way back to Germanna and echo across the generations. A source of encouragement that wells up at Thanksgiving time is a heritage of God’s faithfulness to members of my family in about 1850. 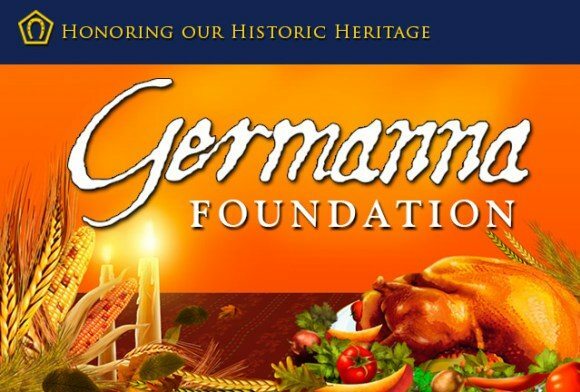 Every year, my family shares this story with friends and family alike, and I hope you will pass it on as well – because Germanna people are a people marked by gratitude and stewardship.